Over the past couple of weeks I have read lots of debates about blocking and crochet. Many have the opinion that it is simply not necessary and it's more a knitting thing. 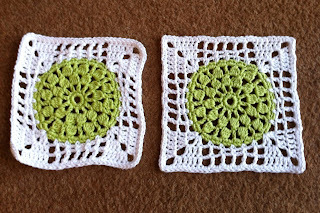 Practically every crochet book I own has images of unblocked squares and motifs and there is no time devoted in the book to the subject. I have to confess that I was once one of these blocking sceptics. I'm essentially a lazy so and so and anything that delays completing a project AND involves lots of tedious pinning of squares has got to be a waste of my valuable spare time. Right? Oh my!!! 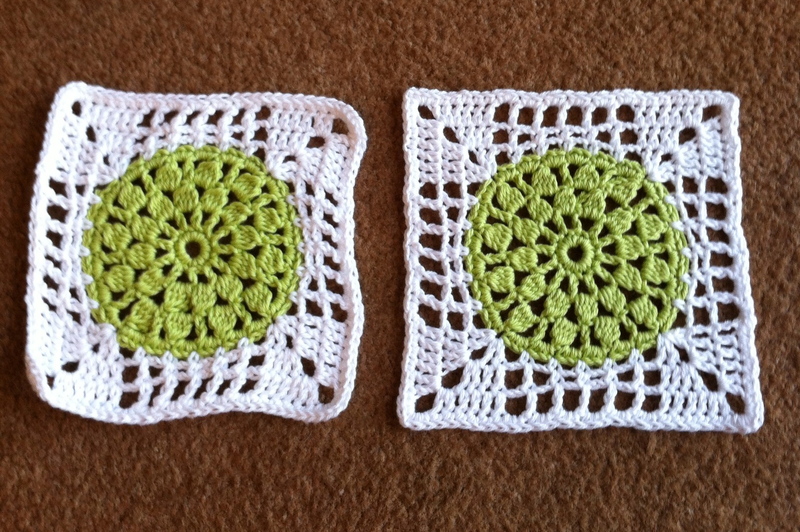 What a difference blocking can make! First thing you need is decent blocking equipment. I've seen lots of various methods on my trawl through blogdom. From a blanket/towel over the bed to ironing boards! Let's face it. Us hookers are an ingenious bunch!!!! You can spend a fortune on blocking boards, but that's not necessary. A trip to the DIY store, some gingham fabric, staple gun and half an hour is all it takes. Check out this post over on A Creative Dimension for some easy to follow instructions. Before blocking.... 12 slightly curly squares! And on the blocking board! I use a LOT of pins! But make sure your pins are stainless steel....the last thing you want is rusty marks on your finished work of art! And the final result! Just look at the difference it makes! Not only do you get lovely uniform pieces but there is a lovely drape and feel to the blocked work. 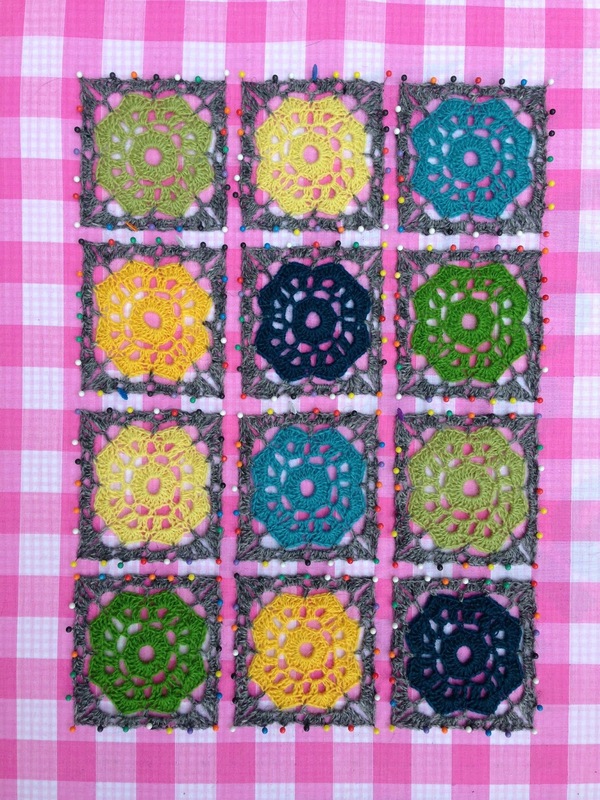 My blocking board has 1 inch gingham covering it. I did make the mistake of covering it with a smaller gingham (you can still see it underneath!) but like I said...I'm lazy and can't be bothered to count loads of teeny square so I simply put the larger gingham over the top! Are some teeny triangles for a scarf I'm making. 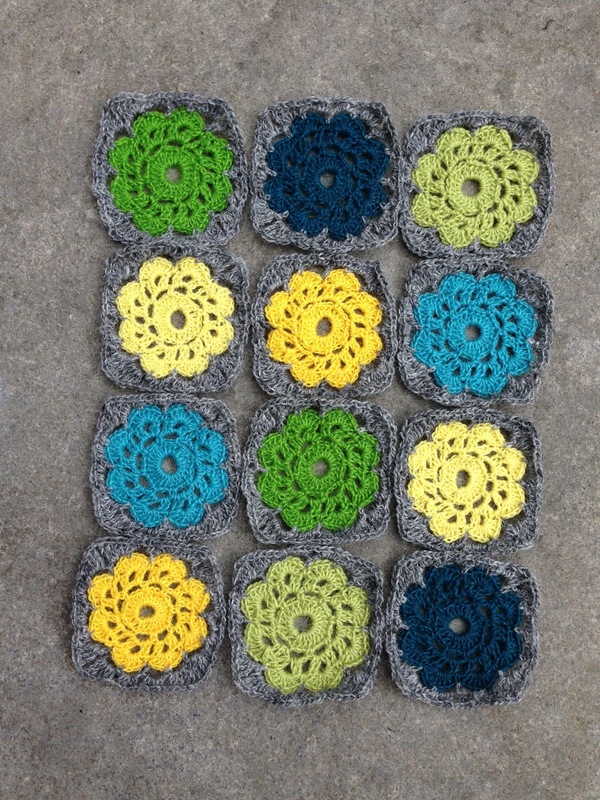 So it's not just squares....any shape can be blocked. Join as you go? Well block as you go! Easy as that! 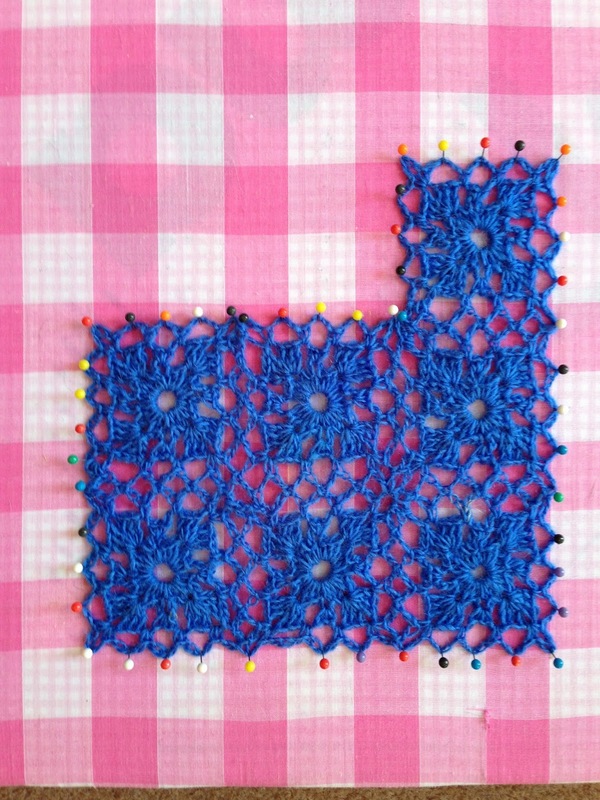 Once you finished a section of join as you go pin it out on the blocking board as you would if it was separate motifs. Once dry...on to the next section...and so on. This way by the time your project is finished it'll be all blocked too! Please don't look too closely at the join as you go technique! It's my first attempt and I'm finding it a little puzzling at times lol. My corners need a little attention methinks! Hopefully by the end I'll have it sussed!